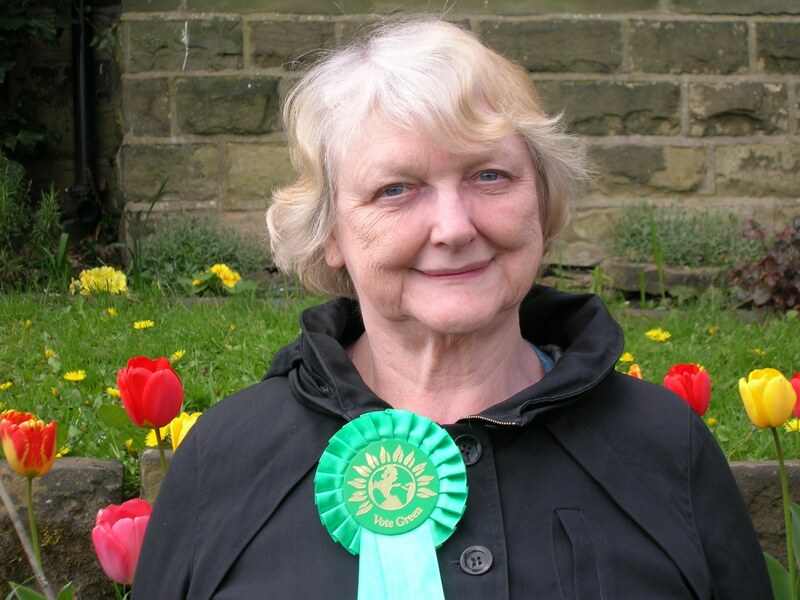 Jean Smee, Green Party candidate in Stalybridge North. My name is Jean Smee and I am standing for the Green Party in Stalybridge North. Although I have lived in the ward for 40 years and seen many changes, good and bad, my concerns are for the future.Tameside Council has said they would welcome the search for shale gas in the borough. This process, involving drilling down and vertically under people’s land and homes, would result in Tameside being littered with abandoned drill heads and any gas deposits found would be of only short term use. They have said that they will not allow any building on the Greenbelt but there are plans before the council to do just that in Stalybridge North. These plans do not even include affordable homes, of which there is a shortage in the Borough. Residents are suffering because of the government cut backs and because the Council seems unable or unwilling to protect the most vulnerable – The Green Party would work for a citizen’s income so that everyone would be able to sustain a decent standard of living. This entry was posted in Tameside Election Candidates 2014 and tagged Green Party candiate in Stalybridge North, Jean Smee, Tameside Election Candidates 2014 by tamesidegreens. Bookmark the permalink.